Heat gas or charcoal grill. 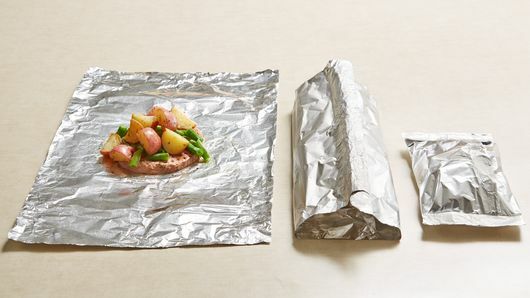 Cut four 18x12-inch sheets of Reynolds Wrap® Heavy Duty Foil; spray foil with cooking spray. In medium microwavable bowl, toss potatoes, 1/2 teaspoon of the seasoned salt, 1/2 teaspoon of the Italian seasoning and the oil to coat. 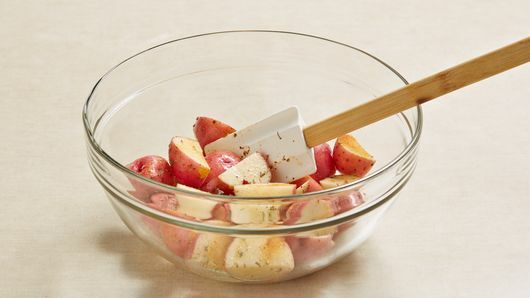 Microwave on High 4 minutes or just until potatoes are fork-tender. 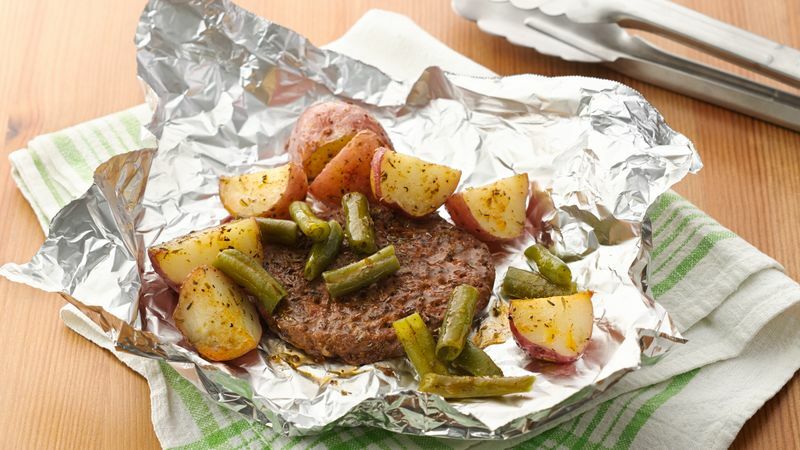 Place 1 beef patty and 1/4 cup of the green beans on each sheet of foil; sprinkle patties with remaining 1/2 teaspoon seasoned salt and 1/2 teaspoon Italian seasoning. Top each evenly with potatoes. Wrap each packet securely using double-fold seals, allowing room for heat expansion. When grill is heated, place packets on gas grill over medium heat or on charcoal grill over medium coals; cover grill. 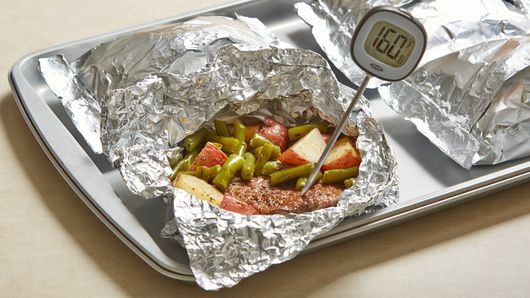 Cook 30 to 40 minutes, turning packets over once halfway through cooking, until meat thermometer inserted in center of patties reads 160°F and potatoes are tender. Carefully open packets to allow steam to escape. 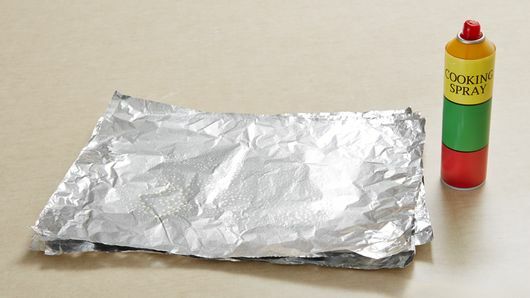 To bake packets, place on cookie sheet; bake at 400°F using times above as a guide, turning packets over once halfway through baking.